March 2011: Enda Kenny and Eamon Gilmore have just formed a coalition government between Fine Gael and Labour. Ireland's banks are broken, unemployment is heading for half a million, the public finances are in chronic deficit, international lenders rate Ireland as ‘junk’ and the country is in an IMF bailout. As Tánaiste in the new Coalition, Eamon Gilmore was at the heart of every major economic decision taken during his term, and as Minister for Foreign Affairs and Trade was primarily responsible for restoring Ireland's international reputation and trade connections. 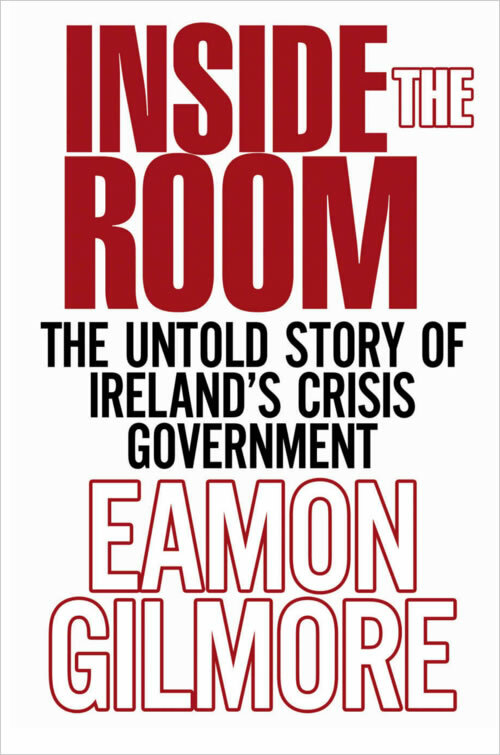 In his extraordinary political memoir of these dramatic and turbulent times, Eamon Gilmore writes frankly about the political price the Labour Party has paid for some of their choices, reflects on the circumstances that led to his own resignation and assesses the prospects for Ireland's continued recovery, including the risks which could yet blow Ireland's and Europe's economies off course. This dramatic inside story lifts the lid on the seminal moments of those crisis political years between 2011 and 2014, the tough decisions and political battles, and ultimately, the personal impact of this critical period in recent Irish political history. Available from all good bookstores. Leading Lights was Eamon Gilmore's first book and was published by Liberties Press in 2010. In Leading Lights, Gilmore discusses the people who moved him to go into politics and influenced the development of his political beliefs. Interweaving his own personal narrative around the figures who influenced him throughout his formative years and career, the book is an important insight into the man behind the politician. Gilmore's inspirations range from family and colleagues, his grandmother Ellen Gilmore and Prionsais DeRossa, to internationally influential figures such as Martin Luther King. There are also some surprises, such as the 'Iron Lady' of British politics, Margaret Thatcher, musician Seán O'Riada and playwright Seán O'Casey spicing up the list.